Toothpaste has only recently been a culprit to me, mostly because I was pretty happy with my fluoride-free hippy toothpaste. But, I have had more and more bouts with cavities due to some health issues and need something that can help remineralize my teeth, which is something my glycerin-laden hippy toothpaste could not do. I began researching what teeth need to heal themselves and was surprised to find how easy it was to fix. Glycerin coats the teeth, keeping the tooth from remineralizing, making your teeth more sensitive to sweets, hot, and cold. Something had to be done! Now that we've switched, my tooth sensitivity has gone completely and my mouth feels cleaner. But beware! This is not like commercial toothpaste. It has a coconut oil base and will feel a little funny. It won't foam. It will be more slippery. But, your teeth will feel wonderful! Happy Chap Toothpaste is handcrafted from: organic, extra virgin coconut oil, xylitol, non-aluminum sodium bicarbonate, ionic magnesium citrate, and calcium carbonate. I am happy to make a custom order if there are any ingredients that you know will be bothersome to you! All my products are made gluten-free in a gluten-free home. According to Weston A. Price, a dentist who studied cavities in different cultures, a tooth is a living part of the body. As a functioning part of the human mouth, we must feed and care for our teeth with minerals and a proper diet. 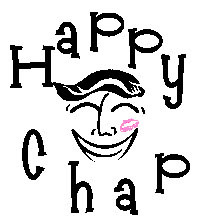 Happy Chap toothpaste does not have any glycerin or fluoride. Glycerin coats the tooth, keeping it from remineralizing and fluoride has been found to disrupt the natural processes of the body, causing thyroid problems, cancer, infertility and a host of other problems in the human body. Coconut oil has anti-fungal and antibacterial properties, magnesium and calcium help to restore proper hot and cold sensitivities, and xylitol adds sweetness while discouraging cavities and a spike in blood sugar. Fluoride and glycerin-free! Two ounces in a screw top container. Comes in glass or plastic. Glass increases price by .41 cents. NEW PRICE! $5.00 each! I also have Cool Gear containers which are silicone, fully reusable. For this special price, please send me a message. Shipping will be calculated through PayPal. I always reimburse any unused amount if shipping is less than anticipated.